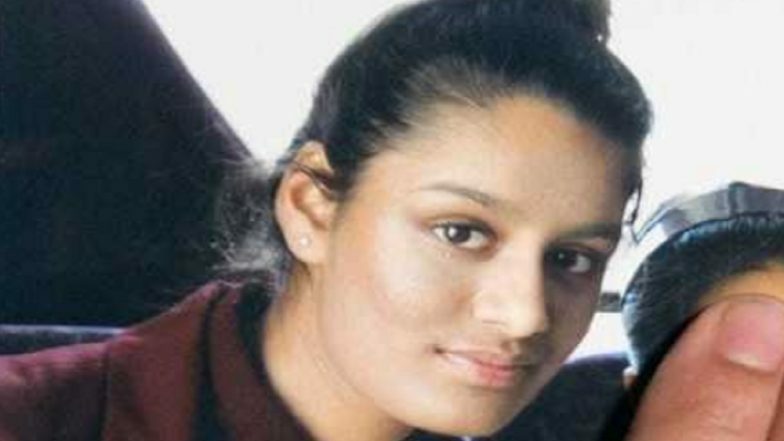 London, April 15: Runaway IS bride Shamima Begum will receive the UK taxpayer-funded legal aid to fight against the government's revocation of her British citizenship, according to UK media reports on Monday. The 19-year-old London schoolgirl of Bangladeshi descent, who fled the UK to join the Islamic State (IS) terrorist network in Syria over four years ago, was stripped of her British citizenship by UK Home Secretary Sajid Javid in February this year after she appealed for safe passage back to the country of her birth from a Syrian refugee camp. Her family had said it planned to challenge the decision. The UK's Legal Aid Agency decided to assist Begum in response to an application made on March 19, the reports said. According to Britain's legal aid system, financial assistance is provided by the taxpayers to those who are unable to afford legal representation themselves, regardless of their citizenship, whether they are accused of a crime or a victim who seeks the help of a lawyer through the court process. Shamima Begum, Who Left UK to Join ISIS, Delivered Baby in Syria: Family. The reports of Begum's access to the aid was received with some concern within the UK government circles, with UK Foreign Secretary Jeremy Hunt saying the Legal Aid Agency's decision to assist Begum has made him "very uncomfortable." "On a personal level, it makes me very uncomfortable because she made a series of choices and she knew the choices she was making, so I think we made decisions about her future based on those choices," Hunt said. UK Shooting Range Uses Image of Shamima Begum, Who Fled in 2015 to Join ISIS in Syria; Says 'Did It For Fun' After Facing Backlash. "However, we are a country that believes that people with limited means should have access to the resources of the state if they want to challenge the decisions the state has made about them," he said. The grounds for revoking Begum's citizenship are believed to be linked to her parents' Bangladeshi dual nationality, which makes her eligible for dual nationality. However, the Bangladesh government has since denied any such right for the British-born national. Tasnime Akunjee, who has represented the Begum family since 2015, has filed an appeal for her with the UK's Special Immigration Appeals Commission (SIAC). A Legal Aid Agency spokesperson said: "We are unable to comment on individual cases. Anybody applying for legal aid in a SIAC case is subject to strict eligibility tests." Last month, Akunjee had sent a letter on behalf of the Begum family to Javid asking for "mercy" and a rethink over his decision following the death of her three-week-old baby boy after falling ill at the Syrian detention camp. Her case has since reportedly been taken over by human rights lawyer Gareth Peirce of London-based legal firm Birnberg Peirce & Partners. A spokesperson for the UK Home Office said it would not comment on individual cases, but added that "any decisions to deprive individuals of their citizenship are based on all available evidence and not taken lightly". Under the 1981 British Nationality Act, a person can be deprived of their citizenship if the Home Secretary is satisfied it would be "conducive to the public good" and they would not become stateless as a result. "I have not deployed the power on the basis that someone could have citizenship to a second country. I've always applied it on the strict advice (of lawyers) that when the power is deployed with respect to that individual they already have more than one citizenship," Javid told the UK Parliament's Home Affairs Select Committee last month, when called in to explain his decision to revoke Begum's citizenship. Begum was 15 when she fled to join ISIS in February 2015 and married Dutch ISIS recruit Yago Riedijk as a so-called jihadi bride. Her 27-year-old husband is being held in a Kurdish detention centre in north-eastern Syria. Both the Netherlands and Bangladesh have since denied that Begum would have a right to enter either country. Begum, currently lodged at a Syrian detention camp, lost new-born baby Jarrah last month to a chest infection and has repeatedly appealed to be allowed to return to the UK. "I was brainwashed. I came here believing everything that I had been told, while knowing little about the truths of my religion," she said in her last interview from the camp earlier this month. Her case, now the subject of appeals and legal challenges, is expected to run into many months and even years.